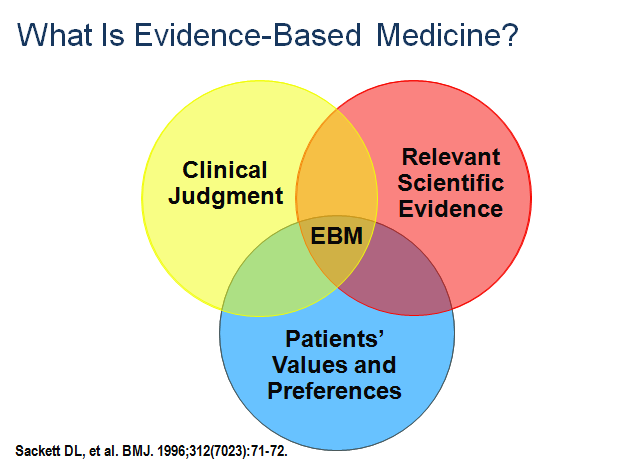 Evidence Based Medicine: What is Evidence-Based Medicine? - Sackett, D. Evidence-based Medicine - What it is and what it isn't. BMJ 1996; 312:71-72. 1. ASK - Convert the need for information into a focused clinical question. Use the PICO framework. 2. ACQUIRE - Track down the best evidence with which to answer that question. 3. APPRAISE - Critically appraise the evidence for its validity, impact, and applicability. 4. APPLY - Integrate the evidence with your clinical expertise and your patient's characteristics and values. 5. ASSESS - Assess the results of your intervention. 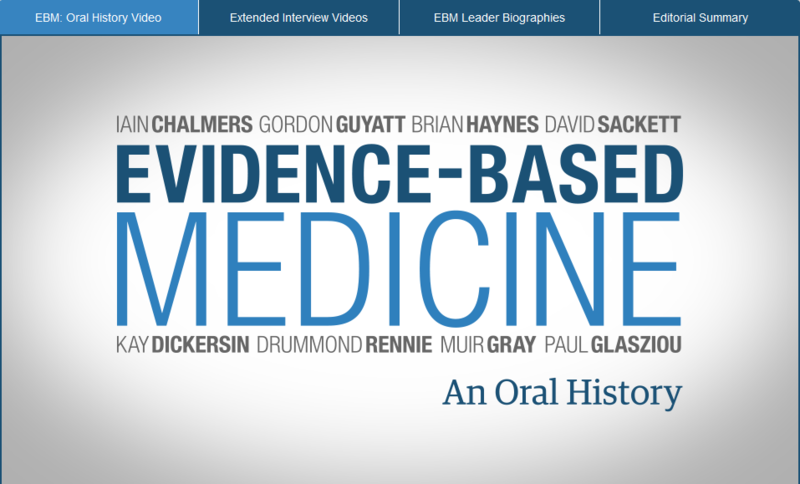 Not all evidence is created equal - A hierarchy of evidence guides clinical decision-making. Evidence alone is never enough - Competent physicians balance risks and benefits of management strategies in the context of patient values and preferences.